HPS Silicone Intake Hose - Pann Auto Performance - San Diego largest aftermarket automotive performance parts - What do you drive? HPS Silicone Air Intake Hose Post MAF Tube replaces the stock OEM restrictive hose with high temp reinforced silicon material. 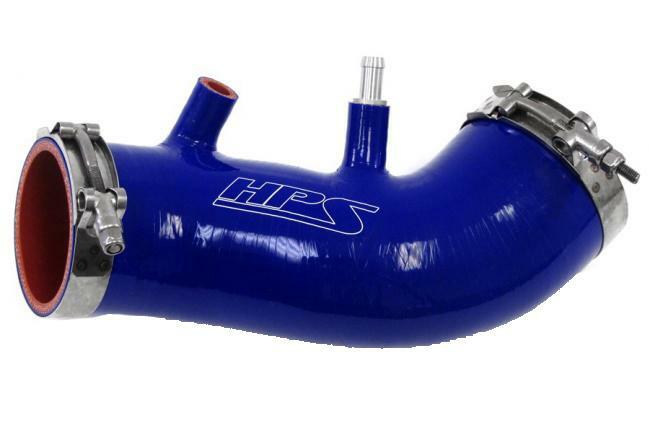 Unlike other aftermarket air intake kits, HPS post MAF silicone hoses improve air flow and reduce heat soak while keeping the stock well designed air box perform at high efficient level. Without any re-tuning, the HPS silicone post MAF Air Intake Tube deliver dyno-proven performance gains.